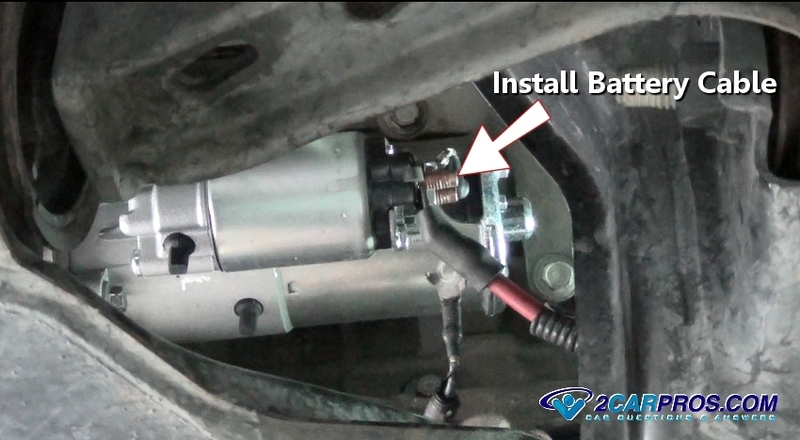 Begin with the engine off and the emergency brake set, then the car safely lifted on level ground using jack stands. 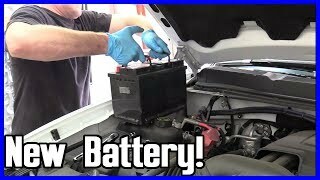 Step 1 - Lift the hood and remove the negative battery cable from the battery making sure the cable end is clear of the battery to avoid an accidental connection. 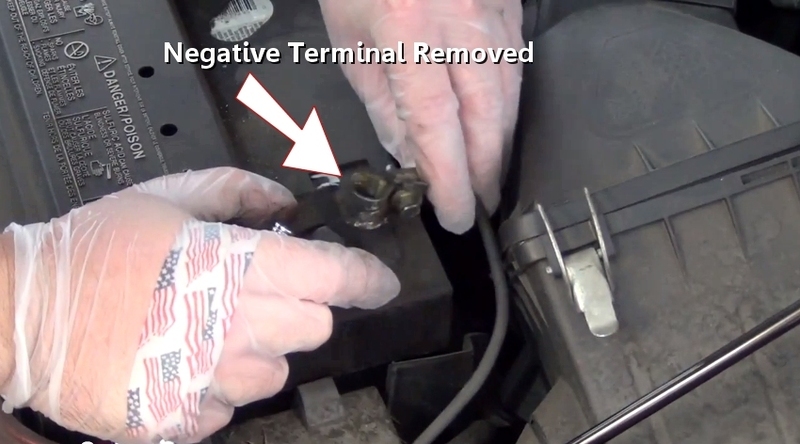 Step 3 - Exposing these terminals will allow access to loosen and remove the battery cable and trigger wire, note the position of the wires on the solenoid. Step 5 - Next, use a slightly larger socket or wrench to remove the positive battery cable. Step 7 - After removing the starter motor mounting bolts, grasp the starter and remove it from the bell housing area, take this opportunity to inspect the flywheel gear condition. 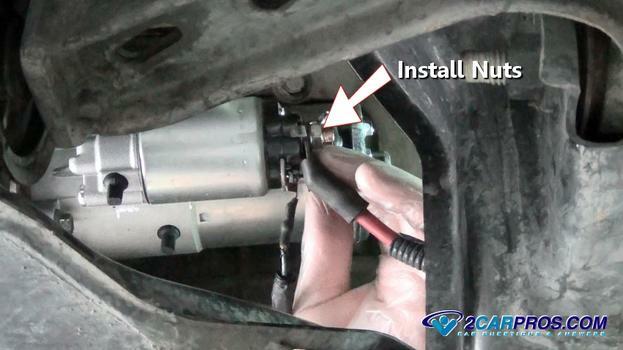 Step 8 - Once the old starter has been removed, match the replacement unit to ensure a proper installation. 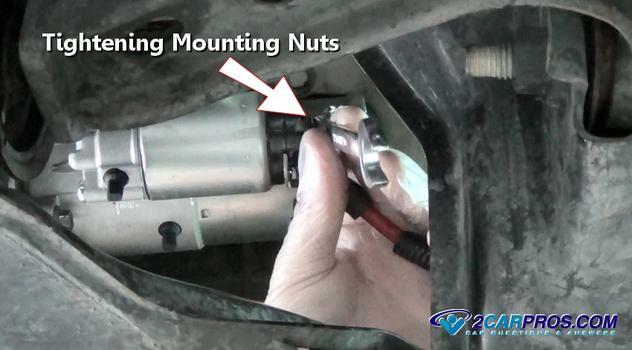 Step 10 - Position the starter into the transmission bell housing, insert the mounting bolts and thread by hand. 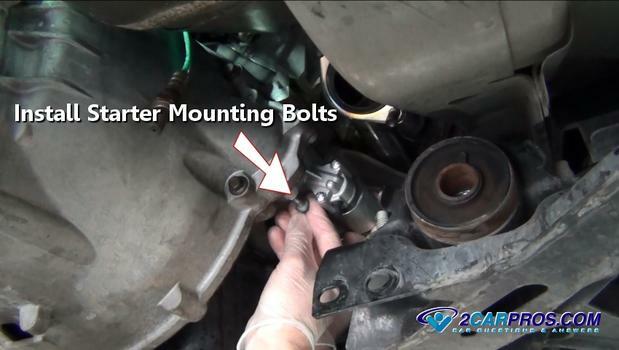 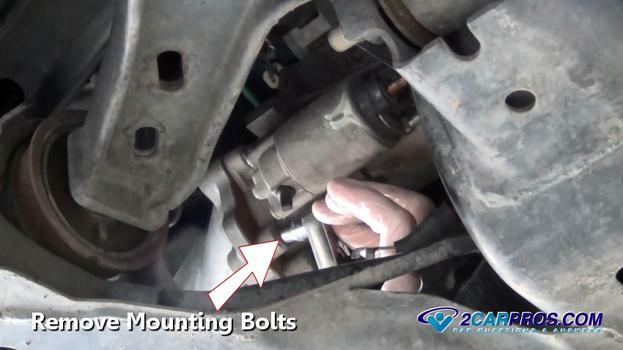 Step 11 - After all starter bolts have been installed, use a socket or wrench to tighten evenly. 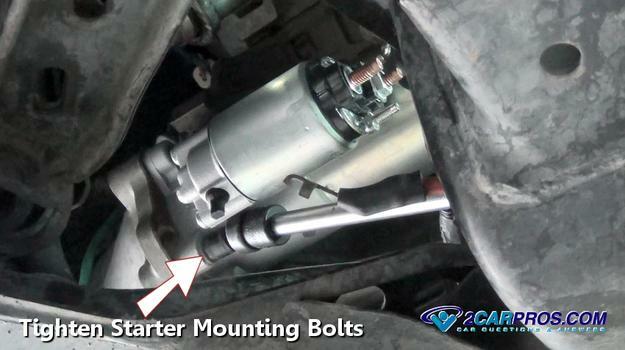 Step 12 - After tightening mounting bolts, insert the positive battery cable onto the starter solenoid. 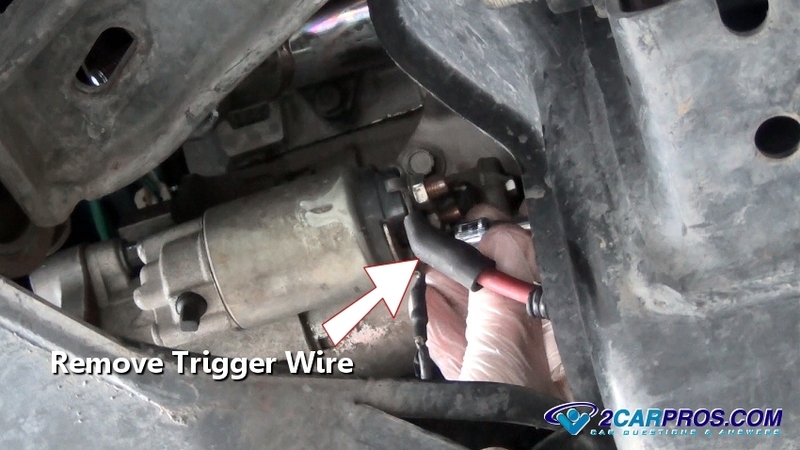 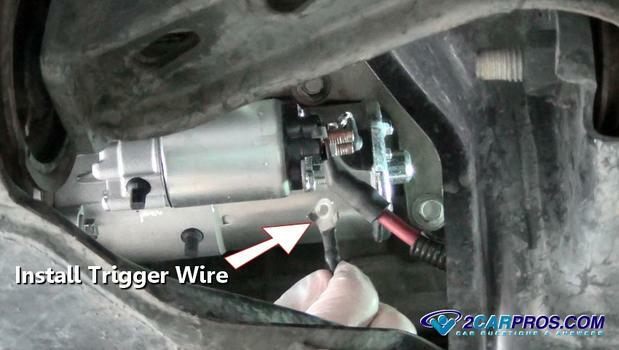 Step 13 - Grasp the starter trigger wire and insert in onto the starter solenoid. Step 14 - Reinstall both positive battery, and trigger wire mounting nuts by hand to avoid cross threading. Step 15 - Use a wrench or socket to tighten both, positive battery cable and trigger wire, do not to over tighten to avoid breaking the solenoid end cap. 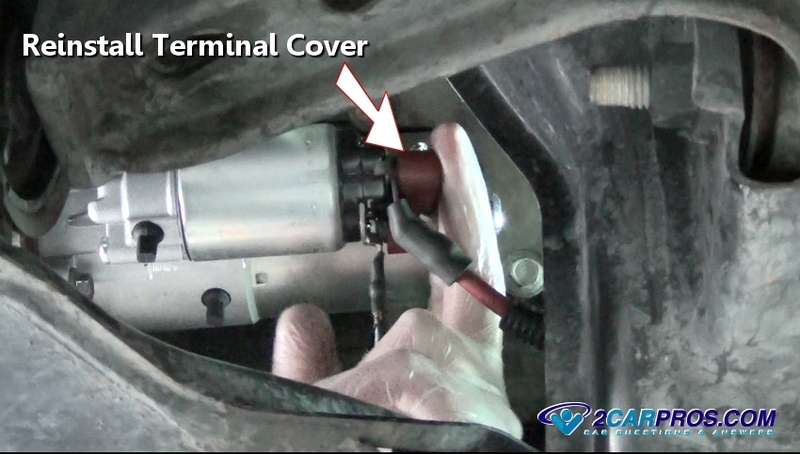 Step 17 - When reconnecting the negative battery cable, quickly (lightly) touch and release the cable to battery terminal, this quick check tests for a short circuit. 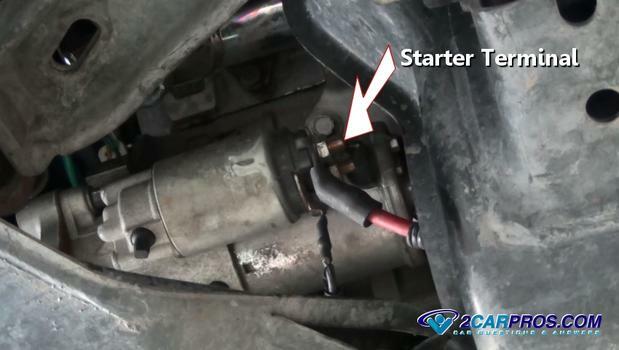 Though a light (little) spark is normal, a large "zap" means there is a problem with the starter installation. 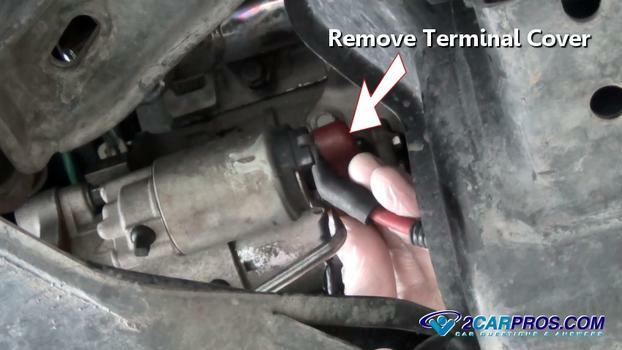 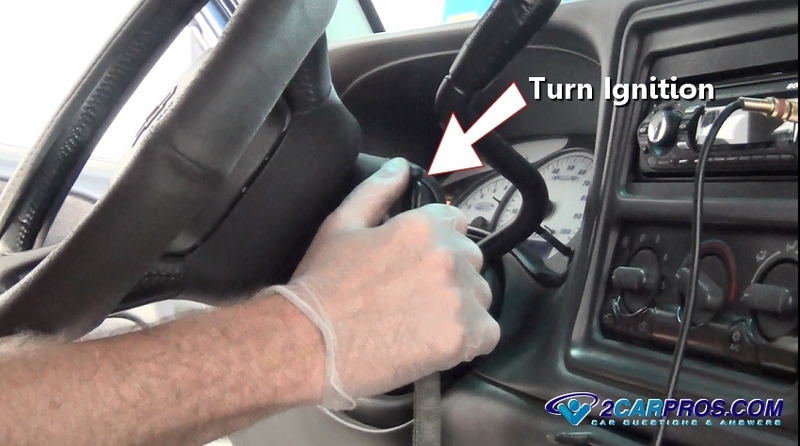 Step 18 - Once the job is complete, turn the ignition key to check the starter operation, if the starter does not work or makes abnormal noises, recheck the job wiring and starter mounting bolts. A starter motor is designed to crank an engine over and allow the internal combustion process to begin. 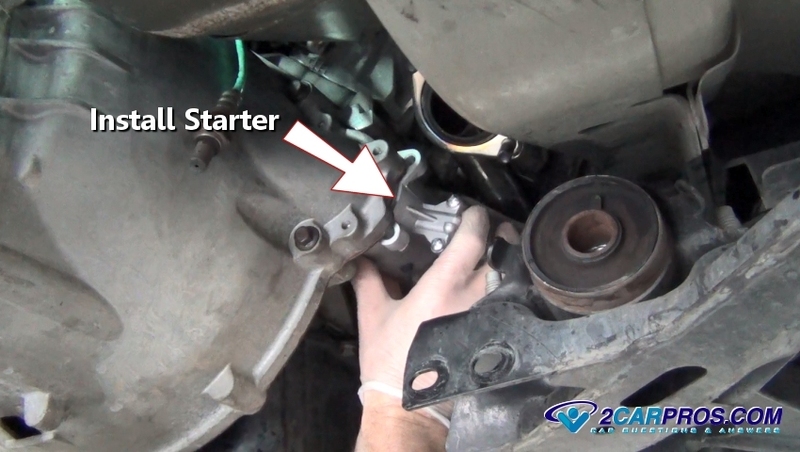 Starter operation can fail for many reasons producing different results, a rapid clicking noise could mean a battery is low on charge. 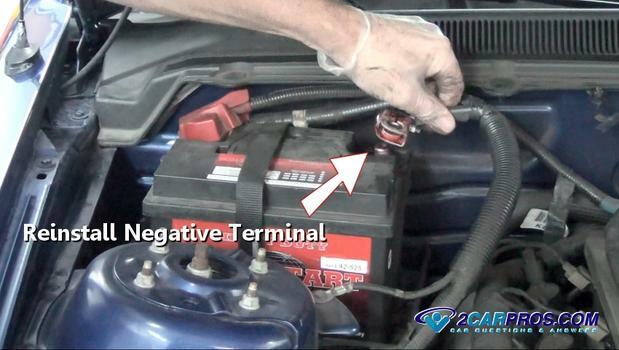 The battery must be in good working order, with a proper state of charge for a starter motor to work properly. 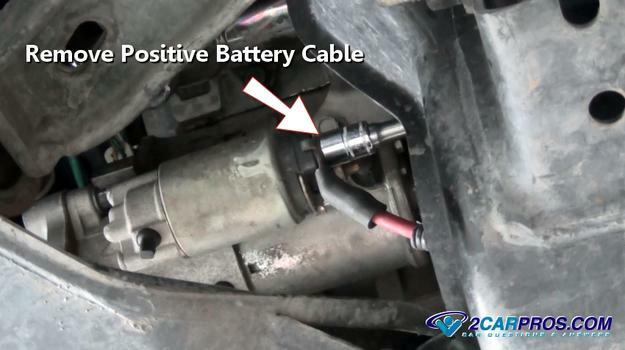 Battery cables can cause starter problems as well, inspect the cables for corrosion, melted or bulged insulation, a starter's lifespan can be shortened if a high resistance connection exists. Starter motors have gone through many changes as they have evolved from a hand crank protruding from the front of the vehicle. 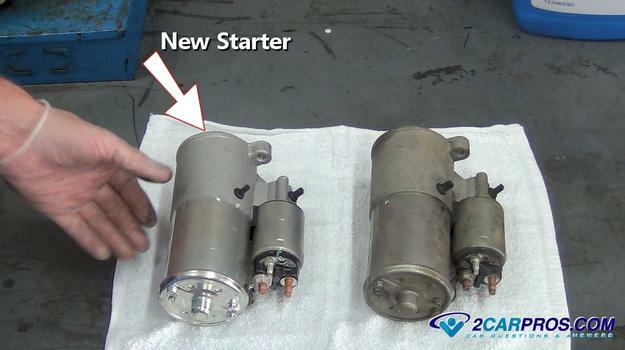 The starter motor became an industry standard soon after the first internal combustion engine was used a motor car. 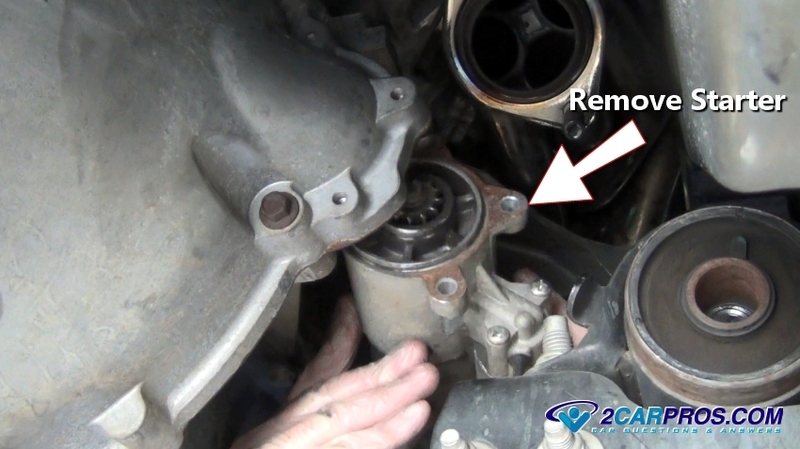 In the yearly years of production starter shims where used to help gear mesh, today these shims are not needed.